Gain exposure and new customers. 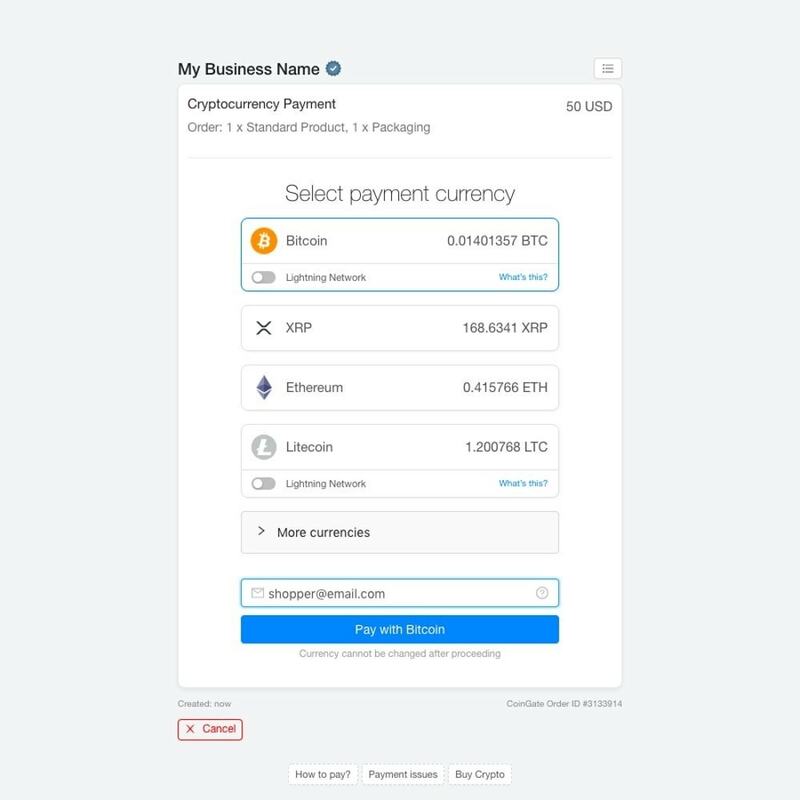 Accepting cryptocurrencies is a great way to promote your store and attract new paying customers. No chargebacks or fraud. You can always feel secure about your payments, because Bitcoin (and other cryptocurrency) transactions are irreversible. Save on payment costs. Credit card processing costs 3% or more, depending on industry. Our ONLY fee is 1% per transaction. Please note we cannot accept businesses registered in the United States for regulatory reasons. Automated refunds for overpaid and unsuccessful payments. We support fair and transparent pricing, and do not charge any transaction fees or hidden margins to customers. 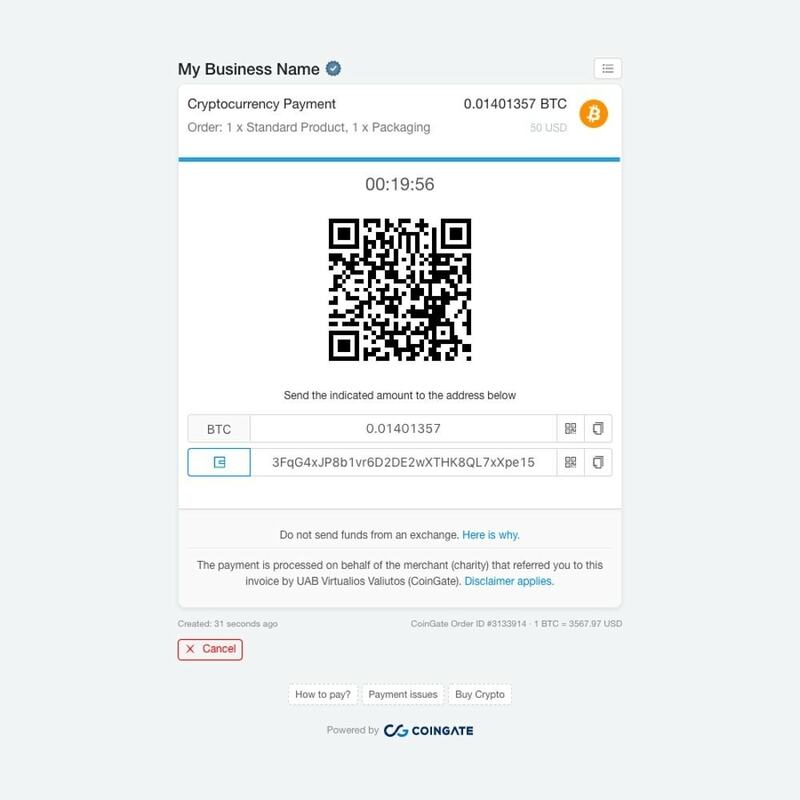 CoinGate is the first payment gateway to have implemented Bitcoin's SegWit upgrade across our platform. We are already working on Lightning Network! 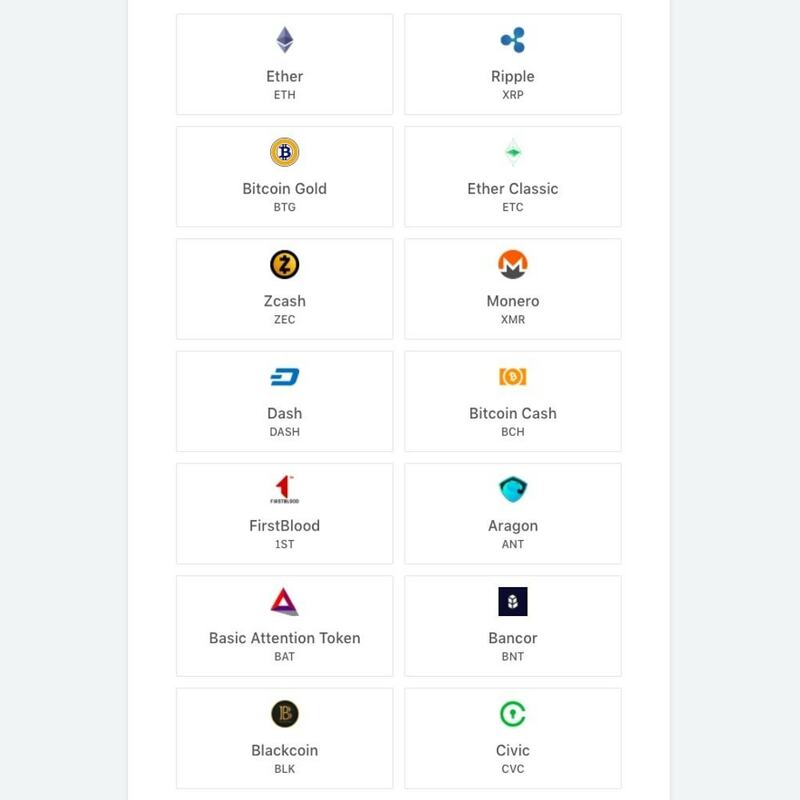 Pay with over 50 cryptocurrencies! 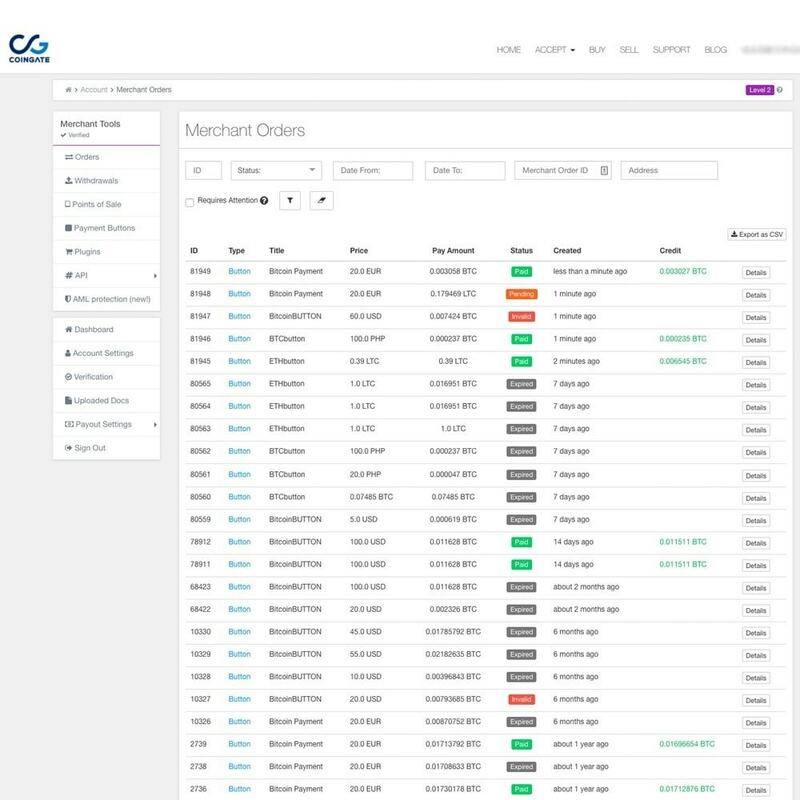 Our invoices support a lot of tokens, and you can pay with any one of them, while your seller will not have to worry about conversions. Getting started takes just an hour or so! 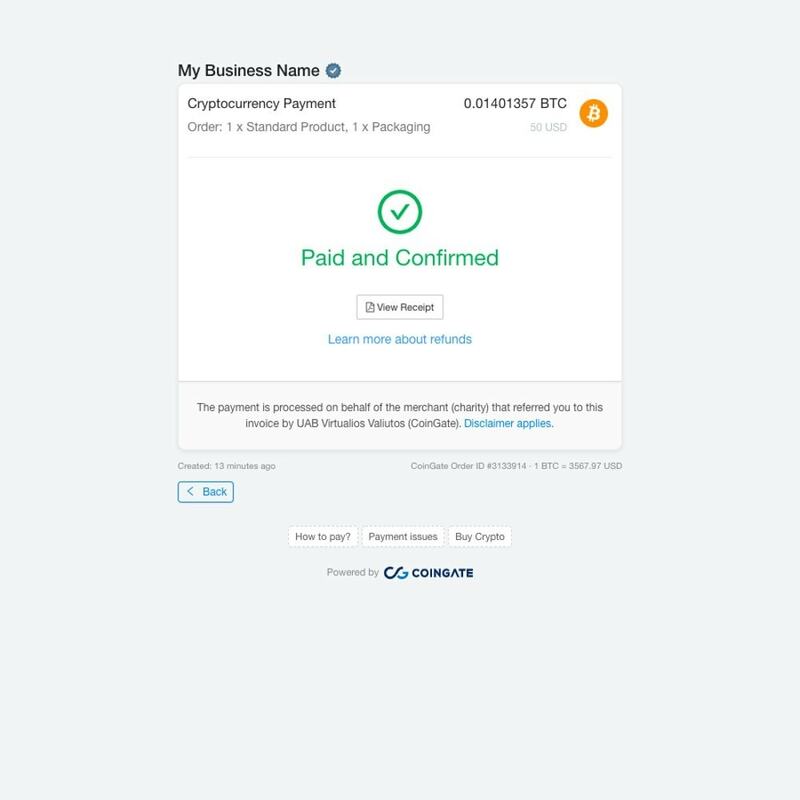 Switch on the module and find the new payment method at your checkout!